As Jalopnik’s resident car buying expert and professional car shopper, I get emails. Lots of emails. I’ve decided to pick a few questions and try to help out. 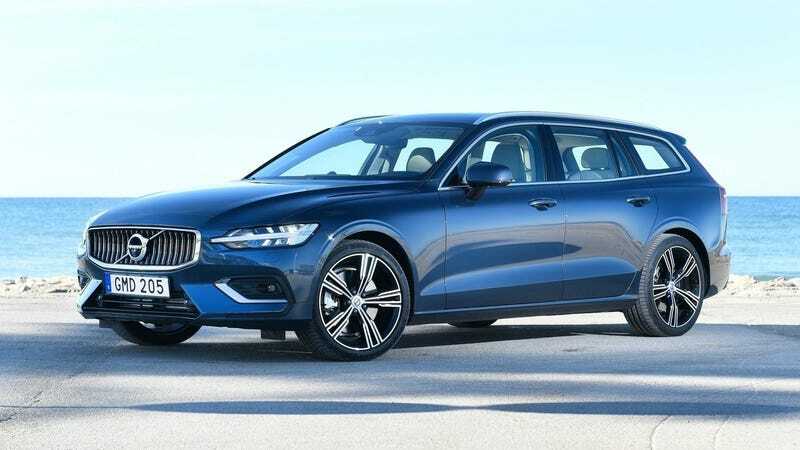 This week we are discussing negotiating an order on a new Volvo V60, tuning a Honda Civic and importing a car from Canada for one minor option. First up: if you order a new car from the factory do you still have to pay full sticker price? It does seem like Volvo is taking a page from Tesla on their ordering process. We reported last year that for the first year at least, the new V60 wagon will be order-only, not stocked at dealers. Honestly I’m not familiar with how the price negotiation would work using that portal. However, I have done a few factory-ordered Volvos for clients and I’ve negotiated them the way I would negotiate a car on the lot. I contact the dealer tell them what the customer wants and have the dealer offer me a price. The dealer with the lowest price gets the order. Since the final purchase is done through the dealership anyway, regardless of this online portal, that is the approach I would recommend for ordering a V60. I will also make the point that depending on the market you may not score a discount on your factory order and this all depends on the supply and demand economics of that particular car. Sometimes in the case of hot cars like a Porsche 911 GT3 getting the slot for the order is the achievement—not the price. Next, what are the risks associated with putting an ECU tune on a new Honda Civic? I bought a 2018 Honda Civic Sport about five months ago and love it. After I purchased it, I was poking around online and came across a few different Honda Civic dedicated websites that discussed how easy it is to tune them, using either Hondata or Ktuner. It seems both of these tuners work well and are easy to install, but I couldn’t really discern what possible (if any) negative impacts these electronic tuners would have on the engine. I guess the question is, are they safe, or should I expect the additional HP these tuners provide will prematurely wear out the engine and turbo? And I guess on a related note, if these tuners are safe, why in the world doesn’t Honda sell their cars already tuned this way? As you are probably aware, the tunes change the computer programming to increase the power. Honda engineers design that motor to ideally handle a certain amount of power to balance with reliability. The engine can “handle” more power but the components may wear faster. Or they may not. Honda could essentially sell the car with the tune already on it, but then a Civic Sport with more power would be competing against the more expensive Civic Si. The automaker wants to find that middle ground between performance, price, fuel economy and durability for their target customer. In regards to “Are the tunes safe?” That all depends on the company. I’m sure you can find several forum threads with owners discussing their experience with various tunes from different companies. While a tune doesn’t automatically void your warranty, if you do tune it and you need to place a warranty claim for your motor or transmission Honda can argue that the aftermarket tune contributed to the failure and thus deny the warranty claim. And finally, can you get a brand new car from Canada even if it is identical to the U.S. model? I’m interested in the new Veloster N but in the USA it won’t come with heated seats. However, in Canada it will come with heated seats. For a new car like this, is it easy to buy in Canada and import to the USA or would it be easier to buy the seats and install? Thanks for the info. It would make rational sense to allow an American to buy a car from Canada if the car was identical to the U.S. spec version, but that is not how it works because our vehicle import laws are ridiculous. But even if you could get your Veloster N from our friends in the north, the whole process would likely be difficult and expensive just for heated seats. Aftermarket heated seats are pretty easy and affordable, so ask around to your local shops to see what they can do.